The past few days have been a whirlwind. 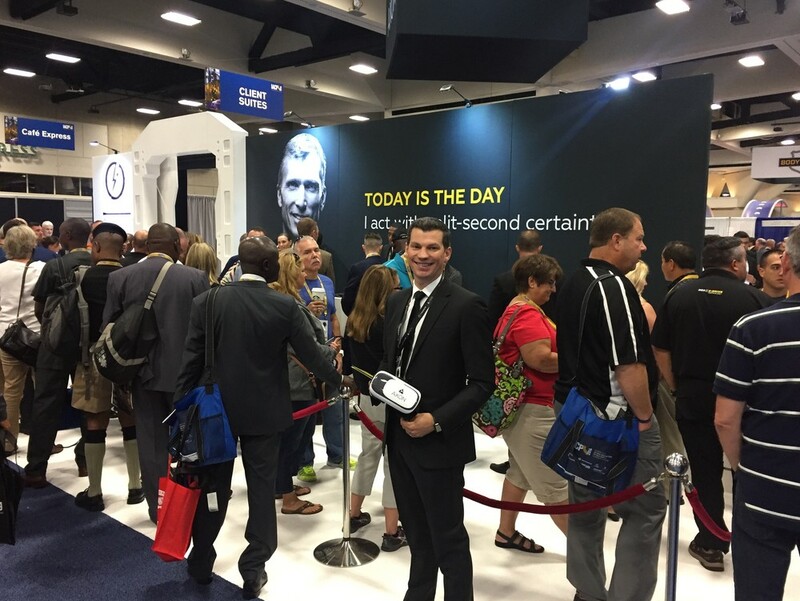 As always, we were thrilled to come to IACP and bring our booth’s VR experience (the first of its kind at IACP!) to law enforcement officials from across the world. So, what else happened at this year's IACP? Here’s a refresher for those who joined us and a recap for those who couldn’t make it to San Diego. This year’s booth was organized around the theme “Is today the day?” and told the story of how the Axon network lets officers go with confidence from the field to the courtroom. 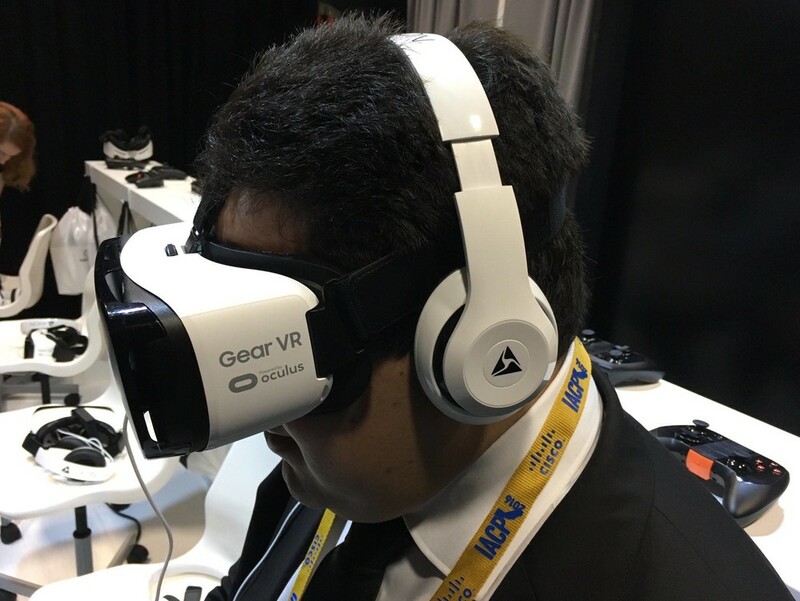 After completing the experience, boothgoers received a headset and headphones to take home with them. Our Axon Insider mobile app now has the VR video available on it so attendees—and those without headsets—can watch the video and share with colleagues and friends. If you haven't already, you can download the app for iOS here, and for Android here. 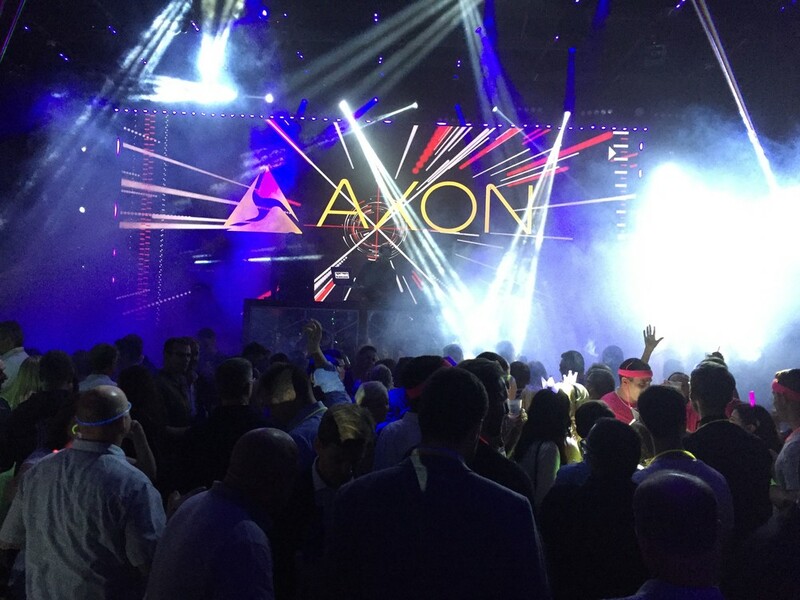 Leading up to the show, we announced the Axon Flex 2, the next generation of our iconic point-of-view camera. At our booth, we showed off the Flex 2, which boasts a host of improvements over its predecessor, including an increase in video quality from 480p to 1080p to new mounting options and better battery life. Its increased field-of-vision means that officers can capture more and gain a new perspective. On top of Flex 2, we announced our new on-demand Transcription Service for Evidence.com. Presented with SpeakWrite as a premiere partner, the new 24/7 service will allow Evidence.com users to order transcriptions of video and audio files on a pay-as-you-go basis from trained, US-based typists. Within about 24 hours, transcriptions of body camera video, in-car video, interview room video and audio, and Axon Capture recordings are automatically synced with Evidence.com and made available as metadata for the relevant evidence file. This year’s IACP also saw TASER CEO and co-founder Rick Smith presenting on his goal to reduce police paperwork by 80% in the next 10 years—a goal that depends on our technology network to keep making police work smarter and more efficient each year. Axon General Manager Marcus Womack also took the chance to address attendees, joining Microsoft’s panel on using the cloud, where he turned his years of technology experience into insights for law enforcement officials. As we work toward our goal of reducing paperwork, we want you to join us at our User Conference in June. At the conference, you'll be able to help us build the technology that will let you focus on what matters, and learn how to make the most of your TASER Smart Weapons. ...And we topped off the big show on Monday with our annual party to celebrate the work that law enforcement officials do. We had a great time at this year’s conference and were thrilled by the opportunity to meet and speak with so many of you during our time in San Diego. We’d like to thank everyone one last time for giving us the chance to share our passion with the law enforcement community, and we hope to see you in Philadelphia next year!